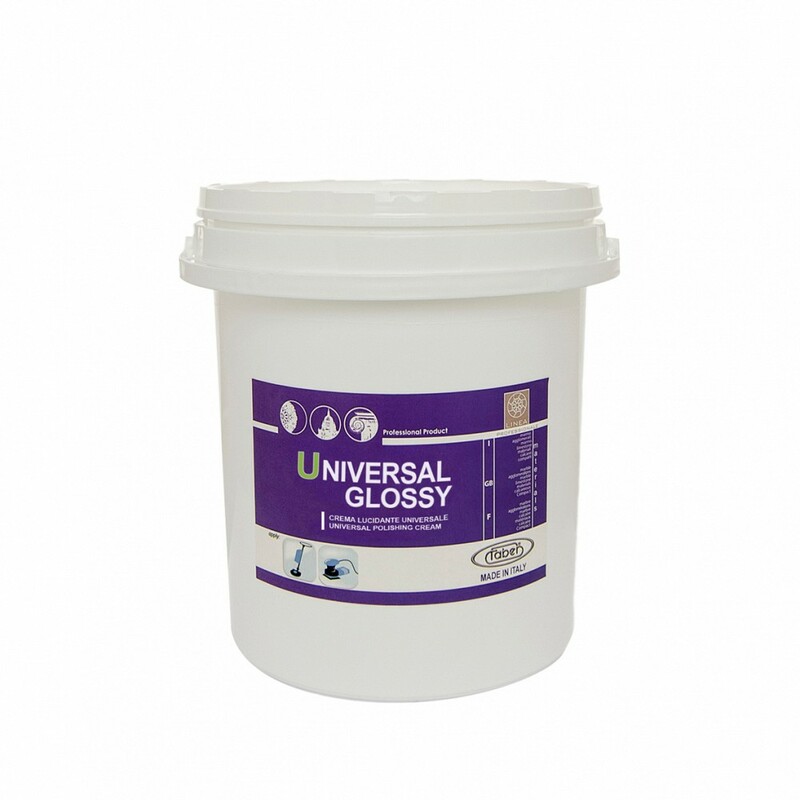 UNIVERSAL GLOSSY is a water-based cream to polish surfaces. This advanced product, thanks to its special formula, can polish Marbles and Granites as if they were the same material, without any difference in brightness or without incurring in different products to polish the same floor. UNIVERSAL GLOSSY is ideal both to polish mixed floorings, made up of Marbles, Limestone, Travertine, Granite, Quartz and even Ceramic and to polish floors made up of just one material. In fact, the product is easy and fast to use, it does not leave any defect and a high bright vitreous effect with an excellent resistance to foot traffic. The product is suitable for the maintenance of big surfaces, allowing a light but much effective maintenance. The product does not require water for application, enhances brightness and restores the original color of material, should it be partially lost.